Do you remember Eleaf IStick MELO Kit I have recommended to you? Now, if you are interested in the mod, you can buy it, too! 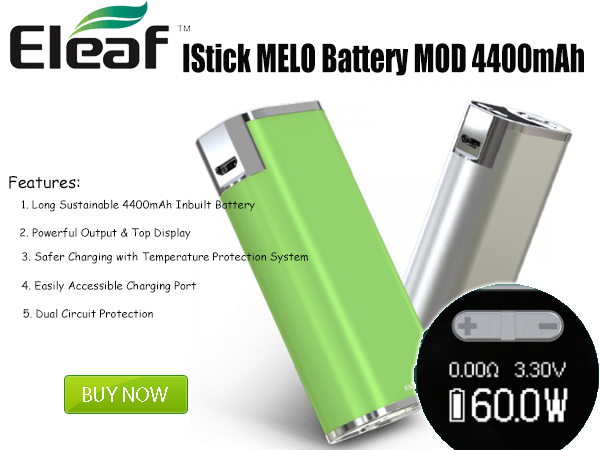 Eleaf iStick MELO Battery MOD features a long sustainable built-in 4400mAh battery that can be recharged efficiently and safely and can fire up to 60 watts, while its slim and compact profile enables you to effortlessly carry and store the device. The top of the iStick MELO mod is equipped with a 0.49' screen, allowing you to view all essential information with a simple glance even while vaping.